Salted caramels. Chocolate-covered bacon. 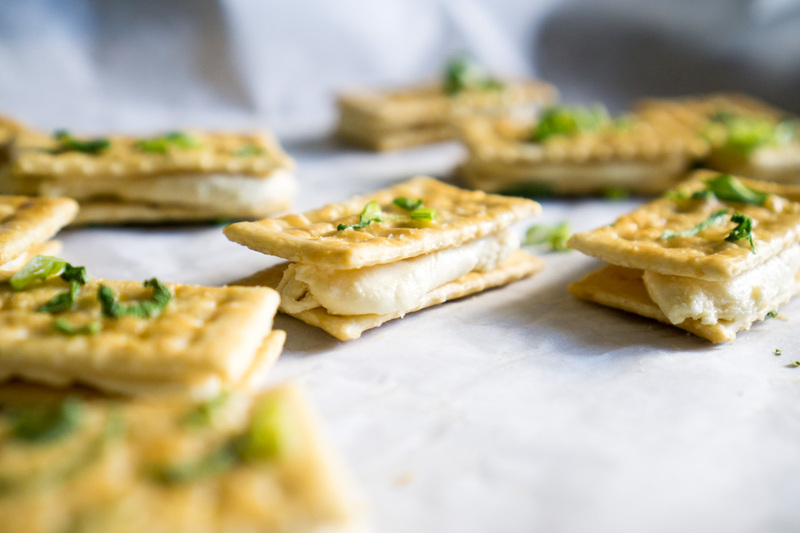 You might think you’ve explored all there is to explore in the realm of sweet-salty combinations, but what if I told you that a popular confection in Taiwan involves flaky, savory, scallion crackers sandwiching a milky-sweet nougat? This unusual flavor combination is far better than it sounds. 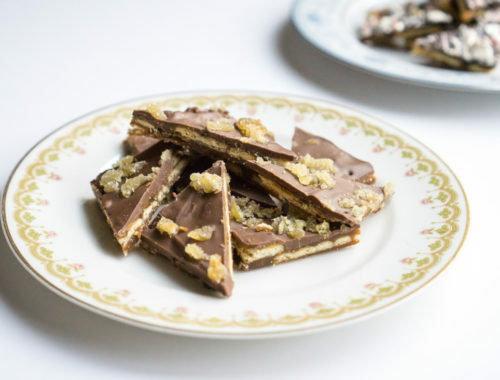 Best of all, the nougat cooks up in about five minutes, requires no fussing with candy thermometers, and magically whips up with only three ingredients. I thought I had sampled all of the Taiwanese desserts in existence, but in the past couple of years I encountered a particularly unusual combination: scallion crackers and nougat. The first time you bite into the cracker sandwich, you might, as I did, experience a moment of confusion and cognitive dissonance. After all, pairing onions with candy just isn’t a common taste experience, though we Westerners do love our caramelized onions. 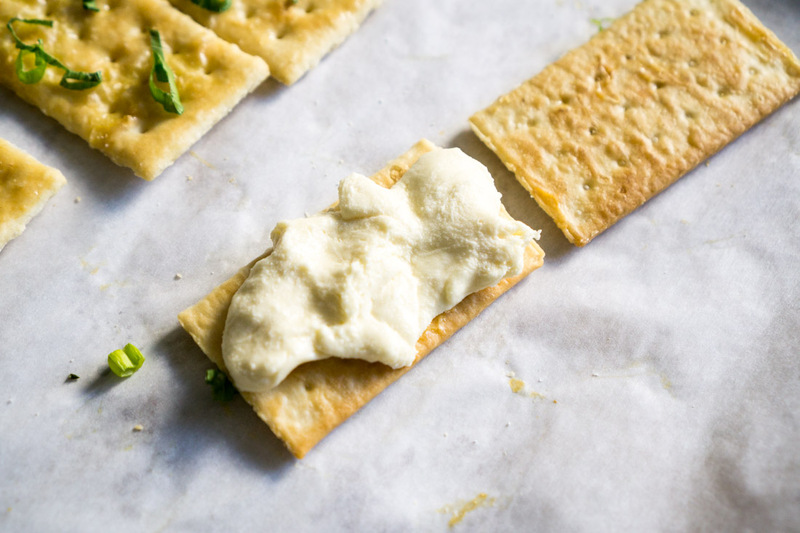 In this snack combination, flaky cream crackers are baked with a generous helping of scallions, and then sandwiched with a big dollop of the milkiest nougat I’ve ever tasted. 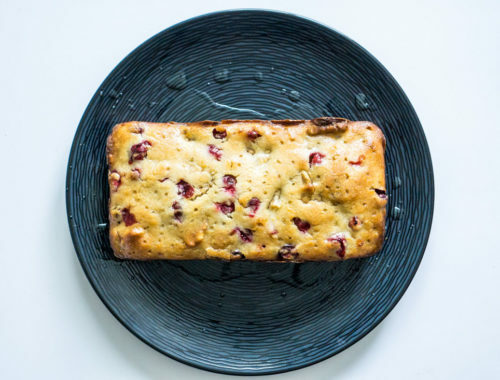 You take a bite, pause, negotiate the flavors in your mouth, and then take another bite. And pretty soon, you finish the entire batch, as I did. 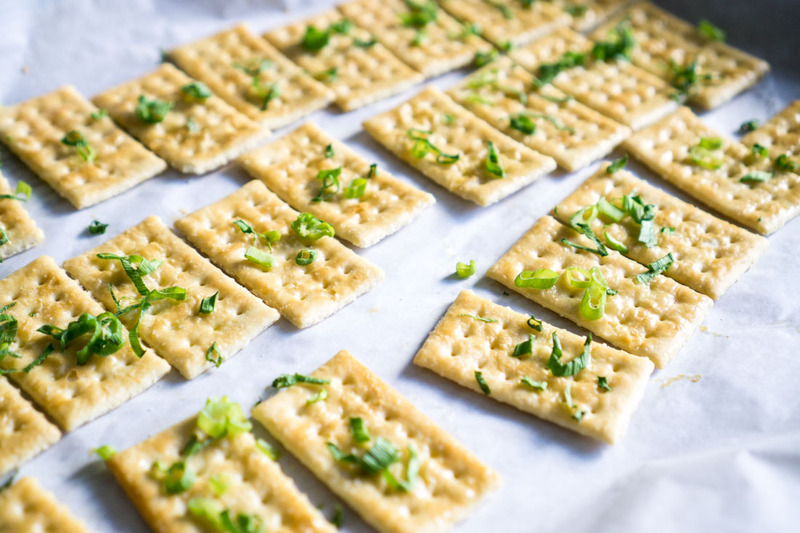 If you have access to scallion cream crackers, which are generally available in Asian grocery stories, please use them! 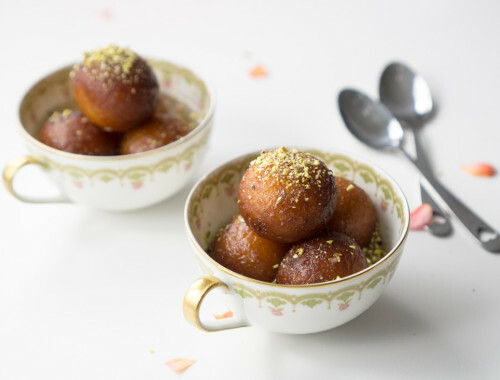 They are perfect for this recipe. But if you don’t, I’ll walk you through an alternative: quick-baking Club crackers with scallions and an egg wash.
First, mince some scallions. For this recipe we’ll just be using the green portion, so set aside the white portion to use for another recipe. 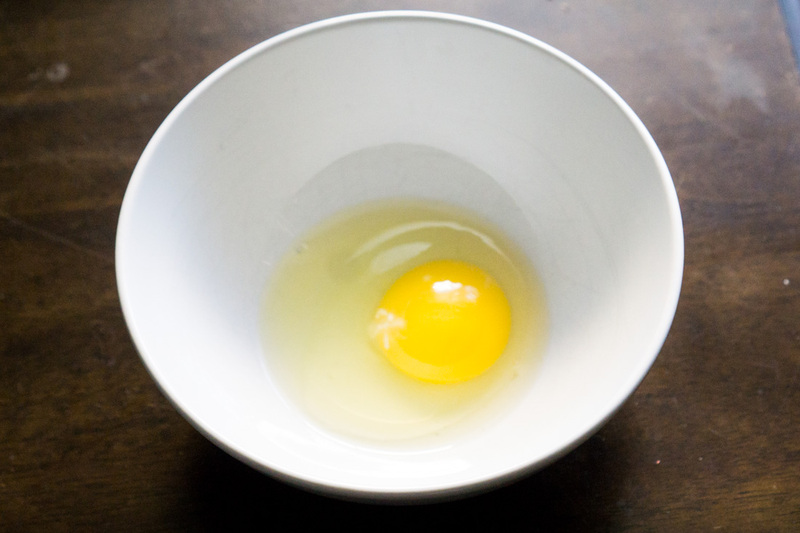 Beat an egg with 1 tablespoon of water. Line a pan with parchment, line the parchment with Club crackers, and paint the crackers with the egg mixture. 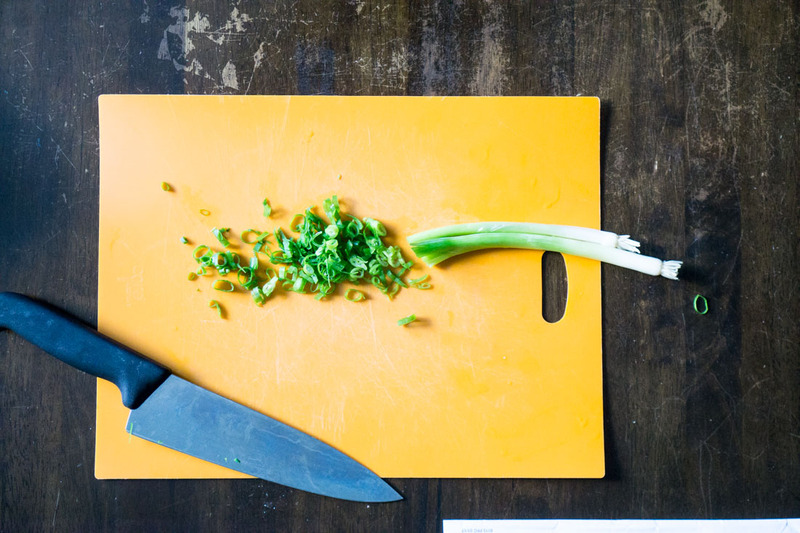 Sprinkle scallions on top. 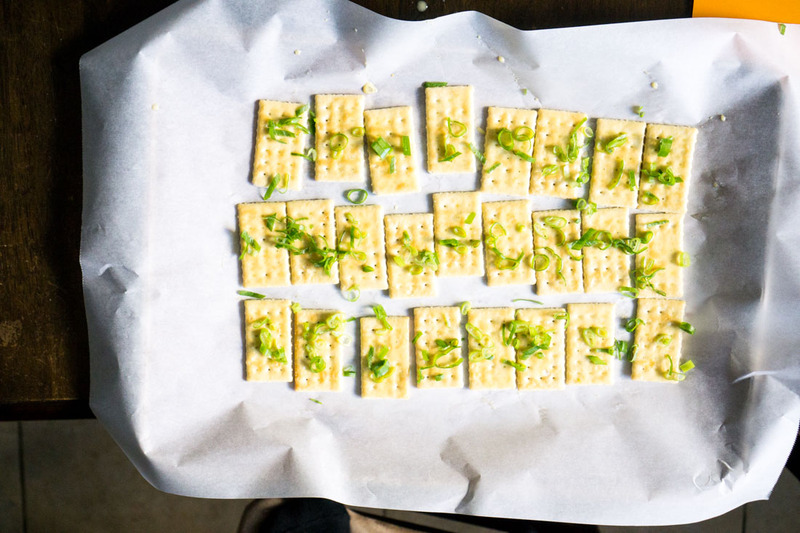 Bake the crackers for 8-12 minutes at 350 degrees F until lightly browned. They’ll still be soft when you take them out, but harden once they cool. 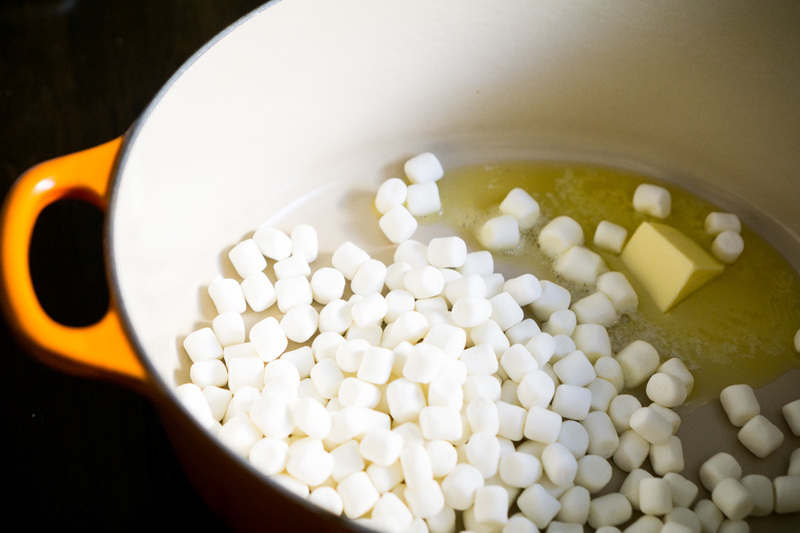 Next, melt 2 tablespoons of butter in a pan over low-medium heat with 2 1/4 cups mini marshmallows. Cook until the marshmallows are partially melted. 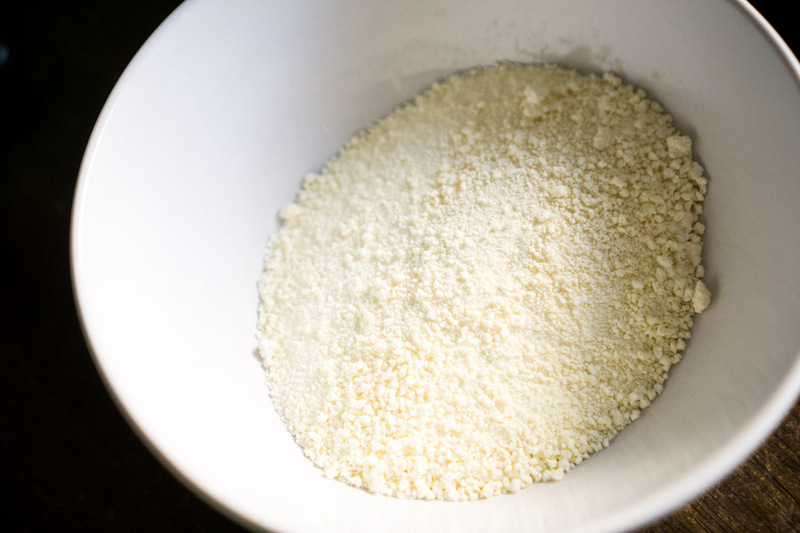 Add 1 cup of nonfat powdered dry milk. Stir, stir, stir! The mixture will look chunky, but don’t panic; it will smooth out as you stir it and then let it cool. Pinch off a small ball (about 1.5 teaspoons in size) of nougat. Pat or stretch out the nougat, which will at this time be fairly tough to shape. Place the piece of nougat on a cracker. Top with another cracker, and gently press down to encourage the cracker to stick to the nougat. Preheat the oven to 350 degrees F. Spread the crackers on a cookie sheet. Beat egg with 1 Tbsp. water. 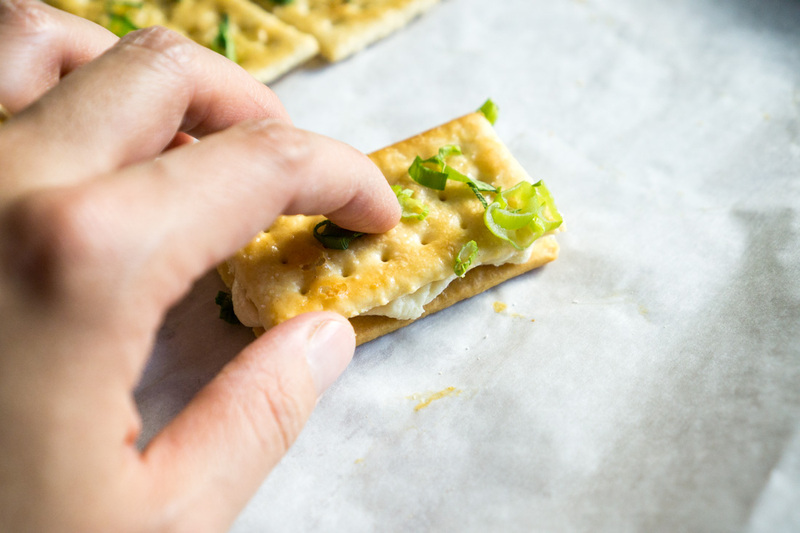 Brush egg onto crackers and immediately sprinkle with chopped scallions. Bake for 8-12 minutes until lightly browned and scallions have started to shrivel. Set aside and cool. 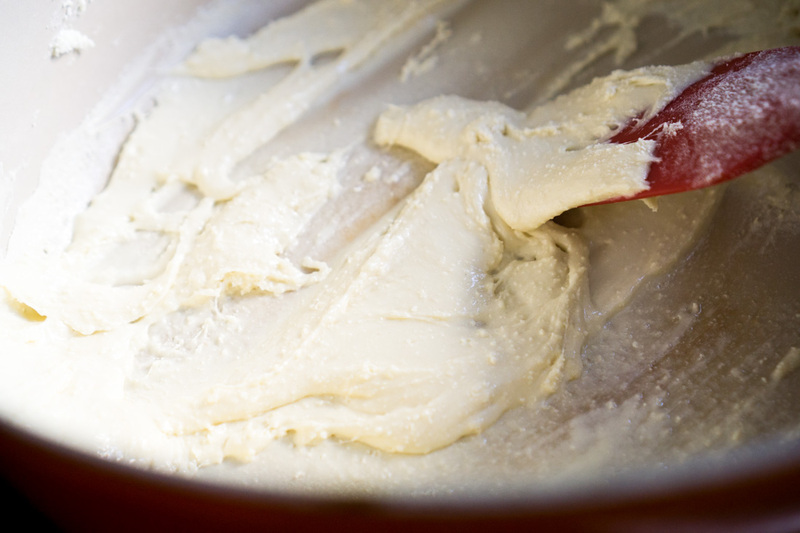 Melt marshmallows and butter in a saucepan on low-medium heat. Stir every so often, making sure the mixture doesn't burn. Once the marshmallows are about 80% melted (meaning you can still make out the shape of the marshmallows but they have melted into each other), add the dry milk in 3 increments, stirring after each addition to incorporate. 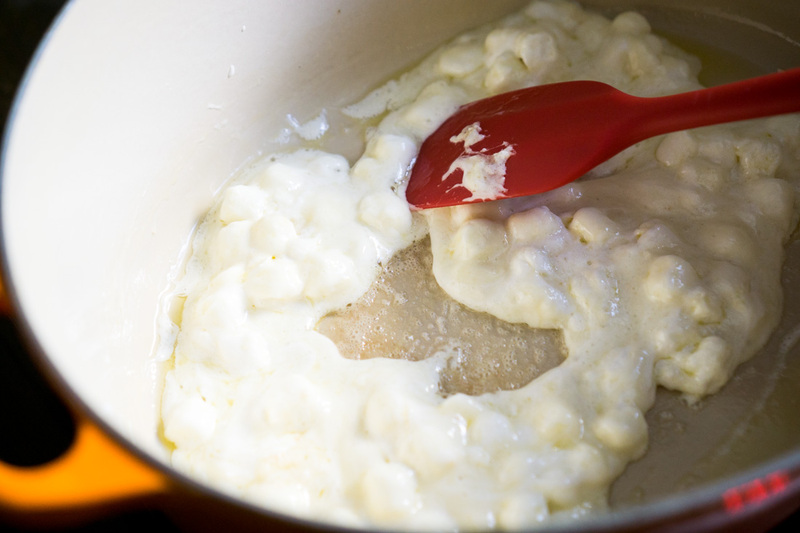 Once the dry milk is well mixed into the butter and marshmallows, remove immediately from heat and scrape the mixture onto a Silpat nonstick mat or a piece of parchment paper. Working quickly, grab a heaping teaspoon of nougat. (Once you make the initial measurement, feel free to eyeball the amount from then on.) Pull the nougat until it forms a rectangle roughly the size and shape of a cracker. Place on top of one cracker, and top with another cracker. Press down gently but firmly to encourage the cracker to stick to the nougat--not too hard, or the crackers will break. Let cool and serve. Store in an airtight container. After the first day, microwave the crackers for 10 seconds immediately before serving in order to soften the nougat and refresh the crackers. Nougat recipe adapted from The Munching Min. My nougat was to sticky to handle. I warmed it a little and got better but still too sticky. Any advice to make it less sticky and easier to handle? Thanks in advance ! Hi SL! 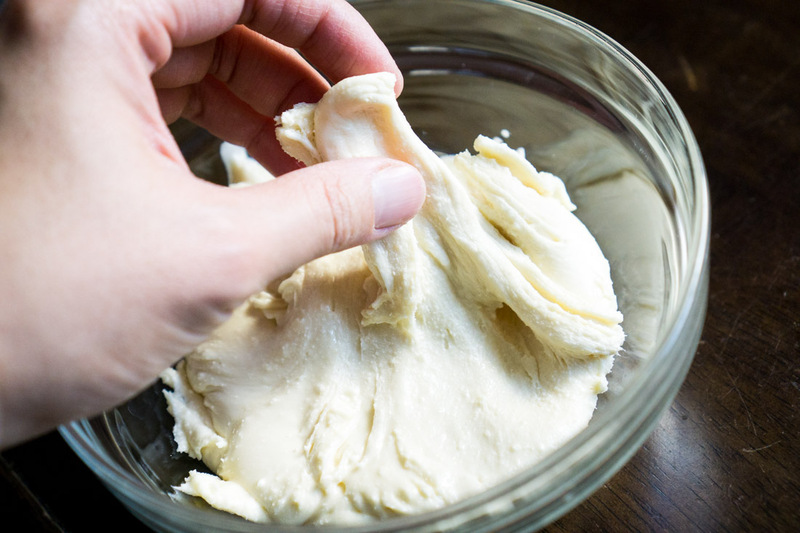 Hmm…what if you tried adding a little more powdered milk?